As one who has had a lifelong passion for making music on a harmonica, I can wholeheartedly say that this versatile instrument serves as an ideal companion along the musical journey. As an artist, I know that the harmonica generously opens up new vistas for creative exploration, right in the palm of your hands! This sweet and amazing instrument adds energy, depth and soul to music. And for the guitarist, all it takes is a neck rack, also known as a harmonica holder, to readily enable you to play the harmonica along with playing your guitar. If you are a guitarist, but new to the harmonica, you will quickly discover that this wonderful instrument will become your “new best friend!” Playing the harmonica is virtually as easy as breathing itself, while at the same, offering endless possibilities for creative expression. It’s so simple yet so wondrously complex in its infinite variety. 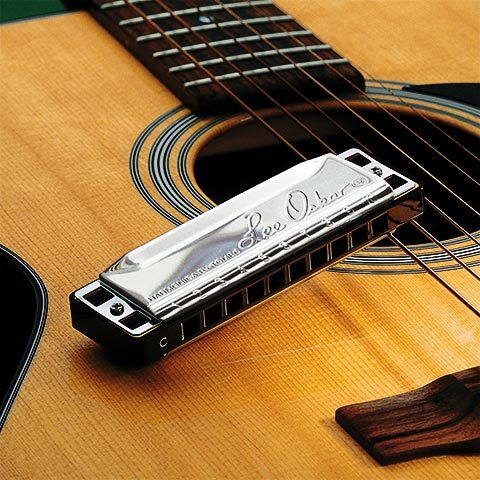 To help guitarists of all kinds, levels, genres and styles readily incorporate harmonica playing into their music, I have created an easy-to-follow set of educational resources, known as the Lee Oskar Harmonica QuickGuide system, This system features Lee Oskar signature harmonicas in different tunings, supported by a step-by-step educational website, www.leeoskarquickguide.com, which offers video instruction and other easy-to-follow support tools to help master harmonica playing. Check it out and see how this system can open up new avenues for your guitar playing!